Bladen County Hospital's Birth Center offers newly renovated birthing suites, and individualized compassionate nursing care to our mothers and babies. The LDRP (Labor, Delivery, Recovery and Post Partum) suites allow families time for bonding. The Birth Center provides OB/GYN services for specialized care, 24 hour anesthesia coverage for epidural pain management, and the majority of the staff boasts over 10 years of labor and delivery experience. All rooms are private and staff is available 24/7 to provide the best care for mother and baby. Learn more. The New Hanover Regional Medical Center Betty H. Cameron NICU is a Level III, 45-bed unit. Premature or critically ill babies receive technically advanced, lifesaving care aimed at optimizing infant wellness. Other benefits of the NICU include developmentally supportive care, where human touch is used to promote a baby's emotional wellness. Just minutes from Labor and Delivery, our NICU continues the hospital's commitment to family-centered care by providing generous family space for loved-ones to gather during this time. Features and amenities include technologically advanced neonatal monitors, 5 nationally recognized neonatologists, and 45 all-private rooms. Learn more. With more than 4,000 deliveries a year, the New Hanover Regional Medical Center Betty H. Cameron Women's and Children's Hospital is ready, prepared and well-equipped. The Betty H. Cameron Women's and Children's Hospital is a trusted provider of birthing care services, treatments and technologies including14 large, all private Labor/Delivery/Recovery rooms, 3 C-section operating rooms, Hydrotherapy (portable labor tubs and multi-head spa showers), In-room family space with comfortable chairs and a sleeper sofa, Family kitchen and living room as well as washer/dryer, and 24-hour, in-house physician coverage. Learn more. 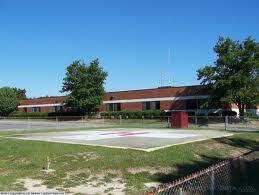 Vidant Medical Center serves as the regional referral center for high-risk pregnancies. For babies that need extra care, the Level III neonatal intensive care unit is located in the adjacent Vidant Children's Hospital. Vidant Children’s Hospital also has a 16 bed Neonatal Level II (Convalescent Newborn) nursery and a 26 bed Neonatal ICU Level IV. Learn more. Women's Care at Vidant Medical Center works hard to ensure that all women delivering at the center as well as their families are comfortable and cared for in a high-quality, safe environment. A family-centered approach is encouraged, allowing family visitation and input throughout the hospital stay. We deliver more than 3,500 babies every year. At Women's Care we have 3-bed triage/procedure area, 11 labor, delivery, recovery and postpartum rooms, 12 labor rooms, 4 operating/delivery rooms, and 2-bed post-anesthesia care area. 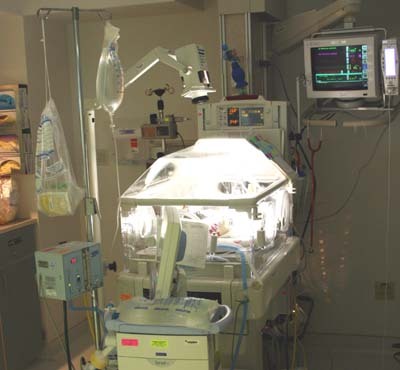 We have a 12-bed antepartum unit for high-risk patients who need hospitalization for pregnancy complications such as elevated blood pressure, preterm labor, multiples, premature rupture of membranes and other complications. These patients frequently have limited activity or are on bed rest. Fetal monitoring is available in this area. We have a 28-bed unit for moms following a vaginal or cesarean birth. "Rooming-in" for all healthy, full-term babies is encouraged. Learn more.